Paraffin at the beginning of the composition is the reason why HairPlus balm can work differently on hair. It might not cause any harm, or on the contrary, weight it down, cause static or grease hair. It all depends on individual predispositions, but we need to know that it happens equally often. Hence, it would be better if the mineral oil was not in the composition. Ingredients of Hair Claude Bell balm are a mixture of various substances, but most are quite interesting. For example, keratin, soy protein, eggshell (source of calcium), camphor and vitamin B6. Apart from paraffin and a few preservatives, the composition of the Claude Bell conditioner is fine. Use: Apply on wet hair, 2 – 3 times per week, perform scalp massage, rinse with warm water after a few minutes. Hair balm for this price should offer as much as HairPlus Conditioners has to offer. Its consistency is designed to easily distribute the product and not weigh hair down. 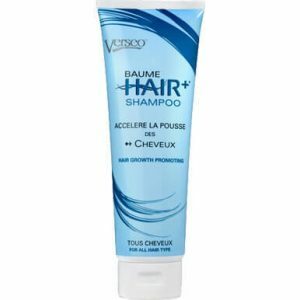 Washing Claude Bell HairPlus off does not cause any problems because the product does not comprise any hard to remove substances. The effects are noticeable right after the first use. Hair become stronger, more resilient and delicate. Its growth is visible after first few weeks, which is confirmed by many users on online forums. The product could have a better, refreshing scent, however, it is a matter of personal choice.